Today we are thrilled to introduce you to our Guest Writer, Alix from The Little Red Hen Jewellery! 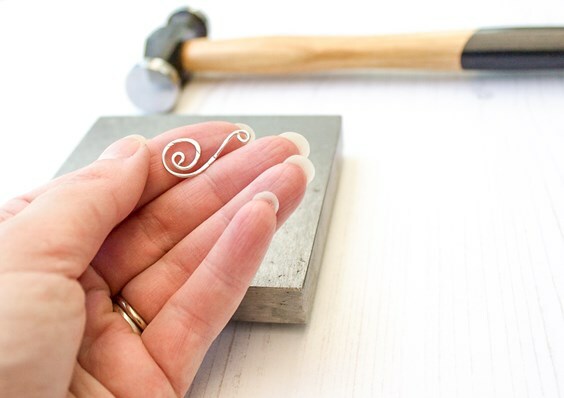 The jewellery making community is something very special and we love to share your talent. 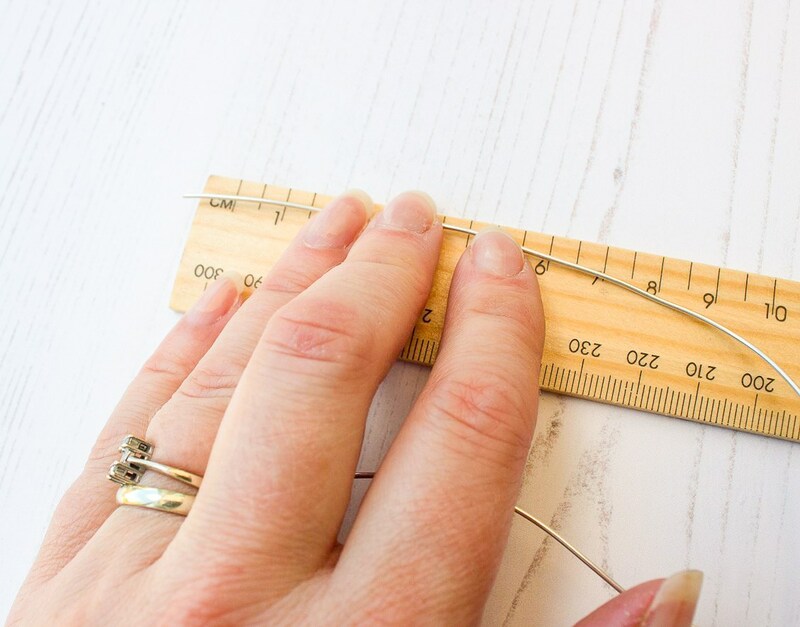 Today Alix shows us a great step by step tutorial, showing us exactly how to make these stunning simple scroll earrings. 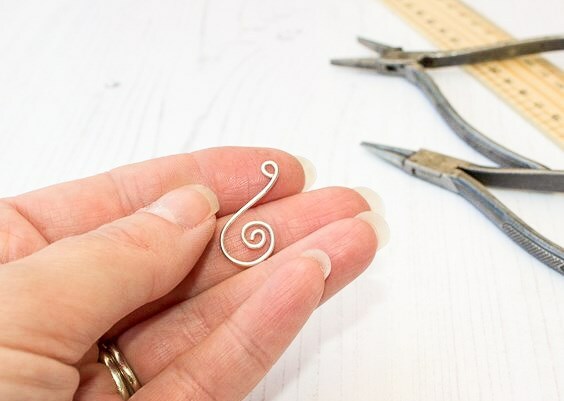 Hi, I’m Alix from The Little Red Hen Jewellery and I’d love to show you a step by step guide on how to make a pair of simple scroll earrings using eco-friendly silver wire. These sparkly scroll earrings are one of my favourite things to make. They’re lightweight for everyday, but have just enough of sparkle for evening wear too. I love using Ecosilver in my jewellery designs. 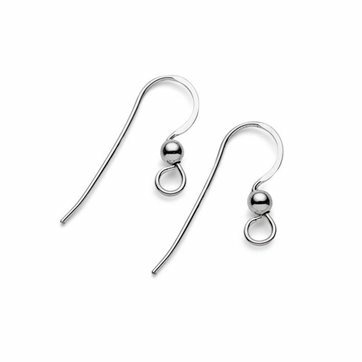 It’s made of 100% recycled Sterling silver, so is a great eco-friendly choice. Below are the tools I used to make this project. Measure 6cm of the silver wire, cut with pliers and then using your flat file, file a taper on one end about 10mm from the end of the wire. 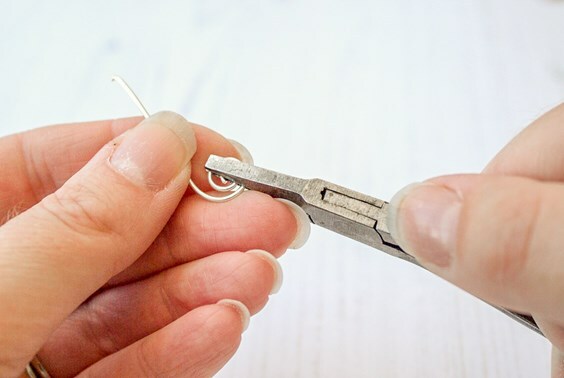 Using your round nose pliers, make a small loop with the tapered end and turn once. Swap to your square nose pliers, gently grip the scroll and carefully continue to turn until you have a scroll shape. 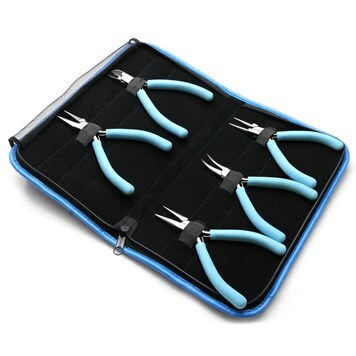 (You can cover the jaws of your pliers with masking tape to protect the wire from marks if you wish). 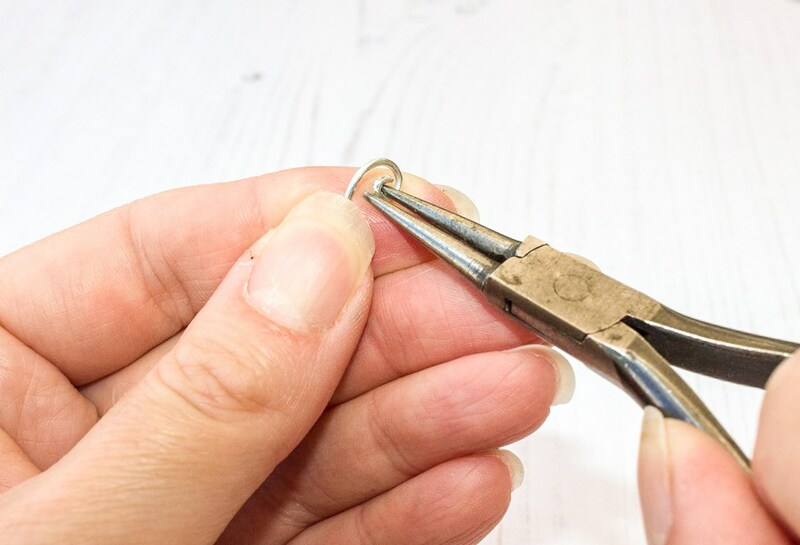 Gently bend the long end back on itself and using your round nosed pliers, make a small loop in the end. The scroll should now look like the one in the photo below. 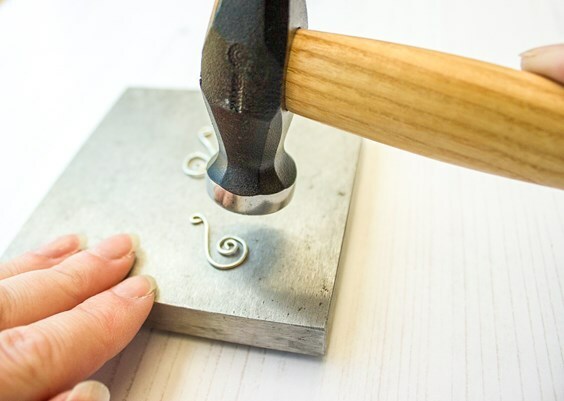 Using a steel bench block and the flat face of a planishing hammer, hammer the wire to flatten the scroll. I like to angle the hammer to strike the wire with the side of the hammer, to create a texture which catches the light and really sparkles. Next, turn the scroll over and gently tap the reverse side to straighten the earrings. All that’s left is to add some Sterling silver ear hooks (I make my own from 0.8mm Sterling silver wire) and give them a polish! I polish my silver earrings in a barrel polisher, but you can also polish them using a silver or jewellery polishing cloth. And there you have it! 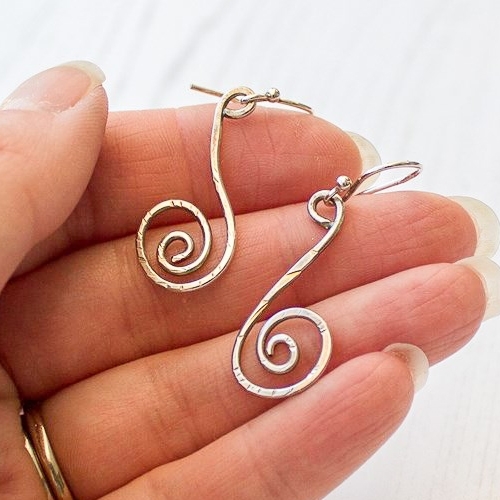 A lovely, sparkly pair of Sterling silver wire scroll earrings. Where can you find Alix from The Little Red Hen? 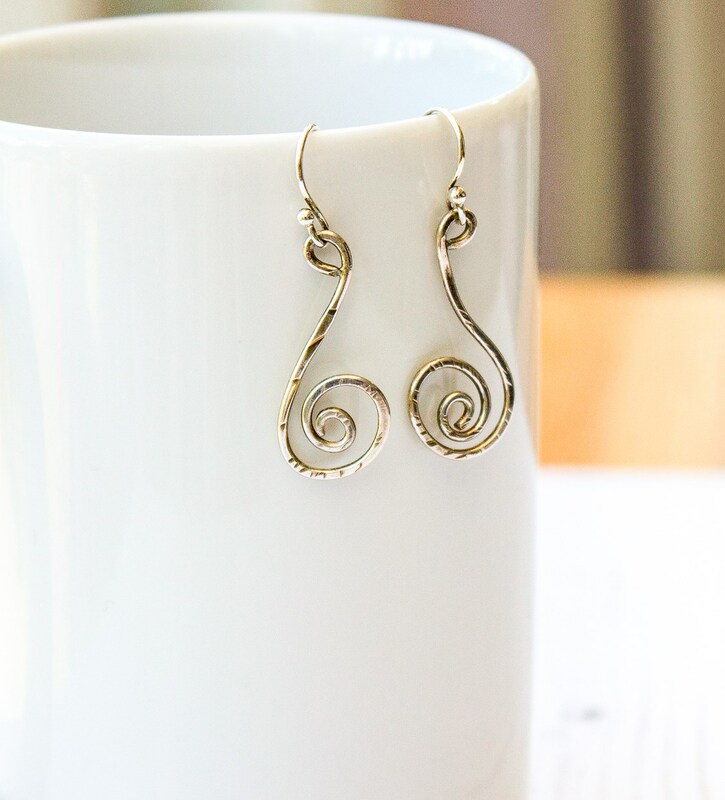 Want to re-create these beautiful scroll earrings with eco-friendly recycled sterling silver wire? We have provided the resources you need below! 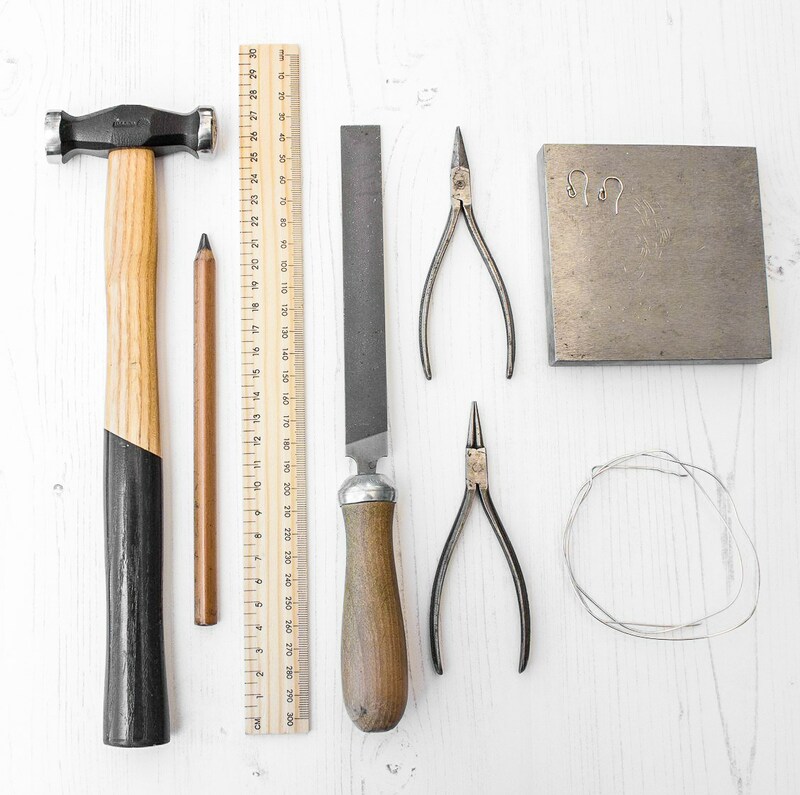 This handy pack will have you sorted for all your jewellery making needs! 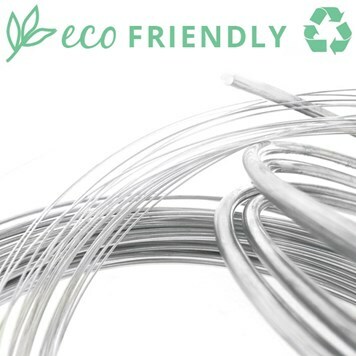 This wire is produced from recycled scrap silver in a traceable and fully audited process so you can be assured you are purchasing 100% recycled metal. 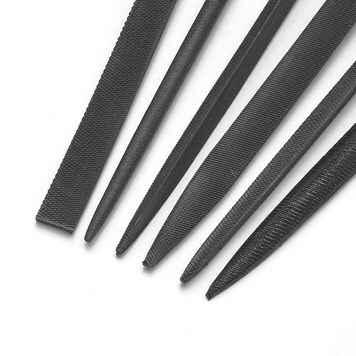 This pack contains tapered round, warding, flat, square, triangular and half round files making it a reliable and handy pack to have at hand. Within this design, you would use the flat round head. 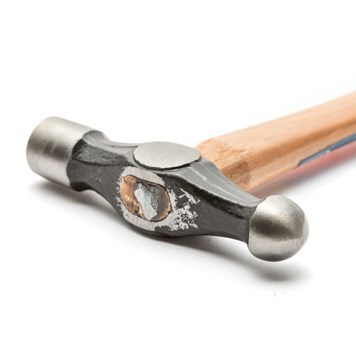 This hammer is great for beating metals for a textured effect, use the domed end to create curves and domes in flat metal. Great tool to have in any workshop! 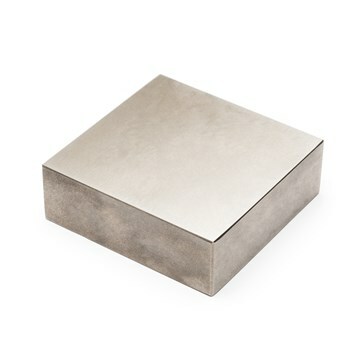 This steel bench block is an ideal size for hammering and forming metal wire and sheet. Plus is won't be harmed during projects. A very popular design, which is comfortable yet stylish. It's a truly versatile hook, making it easy to use pendant drops, beaded head or eye pins, charms, wire-wrapped beads and so much more. Interested in becoming a Guest Writer just like Alix? 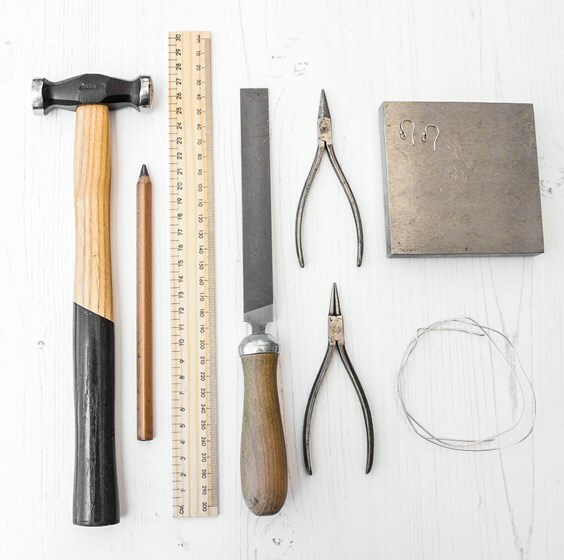 If you're a jewellery designer, we would love to hear from you! Whether you want to chat about the latest trends or your most recent project, we will be happy to share it with our creative community and you get to boost your business too! Head here for our Guest Writer page with more information.